Whether you are downsizing, getting divorced, or dealing with the financial assets of a loved one who has passed, stress is involved. For many people, these situations mean going through an accumulation of a lifetime of belongings. What do you do when you can't take on one more thing? Call an Estate Sale Professional. When dealing with personal belongings, there is a psychological aspect of attachment. Because you remember your great grandmother using her tea service every day, to you it is priceless, when it reality, it could be worth very little. An estate professional doesn't have that personal attachment, and it's their job to know how much things are worth. It works both ways that ugly vase that sat on the mantel your entire life could be worth several hundreds of dollars. Only a professional knows the market value of everyday items and antiques. Most liquidators will request that you not declutter before they come. They are more skilled in identifying items of value. The estate sale professional begins the process by assessing the assets. After acquiring an inventory of the estate, and an estimate of profits, the planner consults with the owner to determine if the potential sale will be valuable enough to move forward. If the owner approves, a contract will be made between both parties and the process moves forward. The sales professional weeds out the unsaleable or marginal items and either disposes of them or donates them to charity. The items of value are tagged, priced, and staged. The price tags are large and easily visible. Prices are usually set for quick sale but are often flexible for bargaining. After pricing, items are staged in a way that allows optimum accessibility and within easy reach. The sales professional will advertise the sale for several days beforehand. Most will use multiple media such as Craigslist, newspaper ads, and websites dedicated to listing sales by area. The sale is usually held over the course of a few days. Factoring in buyer interest and inventory size, sales are generally between one and four days. 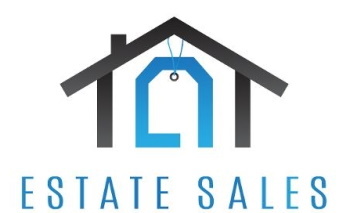 The house is opened on the days of the sale, while the sales professional and their assistants are present to assist buyers and process all transactions. After the sale is closed, any leftover merchandise is again inventoried, and the owner decides what to keep, dispose of, or donate to charity. The sales professional or a hired cleaning service will clean the home and prepare the home for the open market. The percentage agreed upon in the initial contract will be deducted from the profits to pay for the sales professional. The rest is given to the owner. By hiring a professional, you will be able to maximize your profits while minimizing your involvement. When dealing with a death, divorce, or downsizing, that can be priceless.